Senator Stedman and his staff would like to wish everyone a great summer. Pictured below is “Team Stedman” and our interim plan is to visit as many of the communities in the district as possible. Randy Ruaro and Melissa Kookesh will be manning the office in Juneau while David Scott is operating out of the office in Ketchikan. Please do not hesitate to contact the staff with any issues or concerns you may have regarding our district, or other issues with the state government. We are waiting for the conclusion of the special session to publish budgetary and other important information regarding the district. Once the budgets are finalized we will post additional information on this page. We would like to wish you all a prosperous and safe summer. 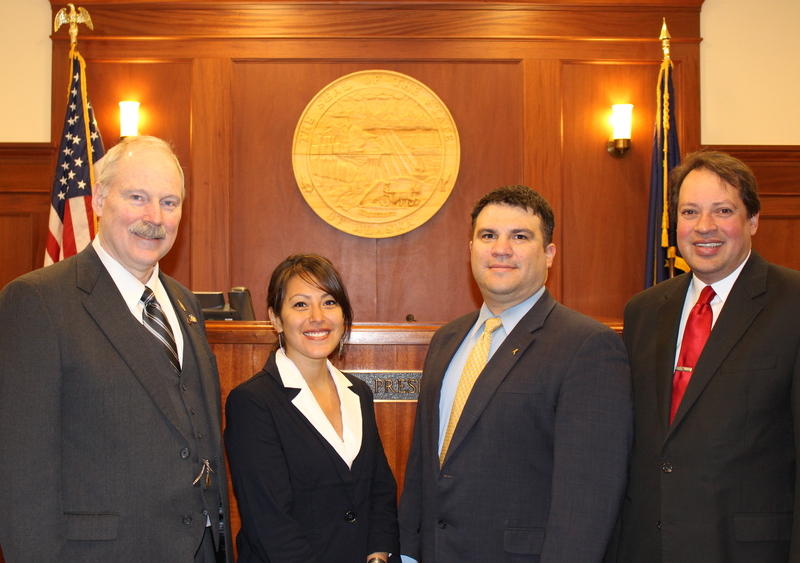 On April 7, 2015, Senator Bert Stedman hosted several members of the National Petroleum Council (NPC) in Juneau, Alaska. 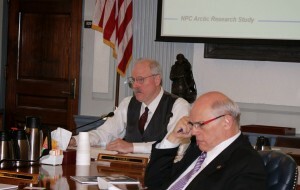 The NPC members presented to the Alaska State Legislature the Arctic Potential, a comprehensive study of prudent development of Alaska’s Arctic oil and gas resources using existing technology and resources. (www.npc.org/NPC_Press_Release_3-27-2015.pdf). The NPC urged the Nation to start exploring and developing oil and gas deposits in Alaska’s Arctic now. The study found that the shale oil and gas boom has allowed the United States to slash imports and become one of the world’s largest oil and gas producers. However, if Alaska’s Arctic is not explored this will not last much longer. Oil and gas deposits in Alaska’s Arctic region must be ready to produce within the next decade. Since development in the Arctic takes years, exploration and development efforts need to start right away to meet that timeline. Failing to take action means the nations’ energy security will be hurt and we will return to dependence on imports. Senator Stedman was appointed last year to the National Petroleum Council by United State Secretary of Energy, Dr. Ernest Moniz, as the representative from The Energy Council. 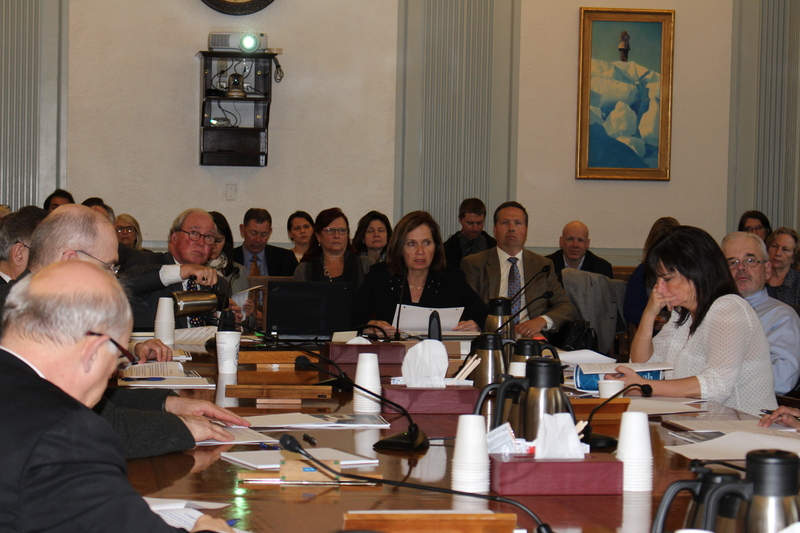 Senator Stedman has served on the Energy Council’s Executive Committee for eight years and is a past Chairman. He has spent several years at The Energy Council working to expand the awareness of the Artic potential for energy security for the Country and North America. The NPC is a federally chartered and privately funded advisory committee. It was established by the Secretary of the Interior in 1946 at the request of President Harry S. Truman. In 1977, the U.S. Department of Energy was established and the NPCs functions were transferred to the new Department. The purpose of the NPC is solely to advise, inform and make recommendations to the Secretary of Energy with respect to any matter relating to oil and natural gas, or to the oil and gas industries submitted to it or approved by the Secretary. (www.npc.org). Senator Stedman announced today the hiring of David Scott as a legislative aide. David is originally from Metlakatla, Alaska and belongs to the Raven Clan. His maternal grandparents are the late Irving and Barbara Leask from Metlakatla and his paternal grandmother is the late Cora Brown from Prince Rupert, British Columbia. Like many Southeasterners, he grew up commercial fishing and playing basketball. David attended high school in Metlakalta and graduated from Olympia High School in Olympia, Washington. He then went on to serve in the United States Navy for 4 years and was deployed twice to the Persian Gulf. He used the GI Bill to pay for expenses while attending Fort Lewis College in Durango, Colorado where he majored in Political Science. 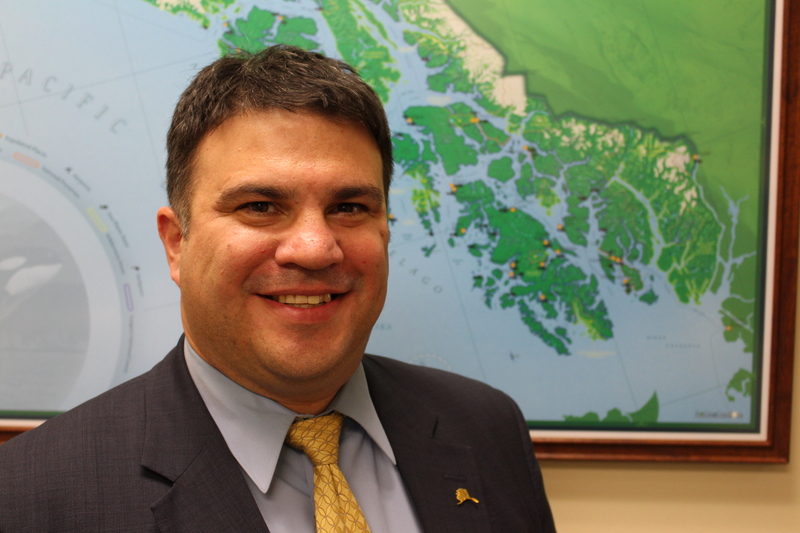 David has over nine years of experience working in the Alaska State Legislature. His notable accomplishments include time in the House Majority Leader’s Office and with a member of the Senate Finance Committee. Former legislators he has worked for are Representative Kyle Johansen, Senator Donny Olson, and Representative Jim Colver. David and his wife Danita continue to make their home in Ketchikan with their two daughters, Aurora and McKinley, where they enjoy, camping, fishing, hunting, and youth sports. Please help me welcome David to the team. Senator Bert Stedman had the opportunity to meet with and introduce on the Senate Floor students from Ketchikan’s Holy Name Catholic School 6th Grade Class. 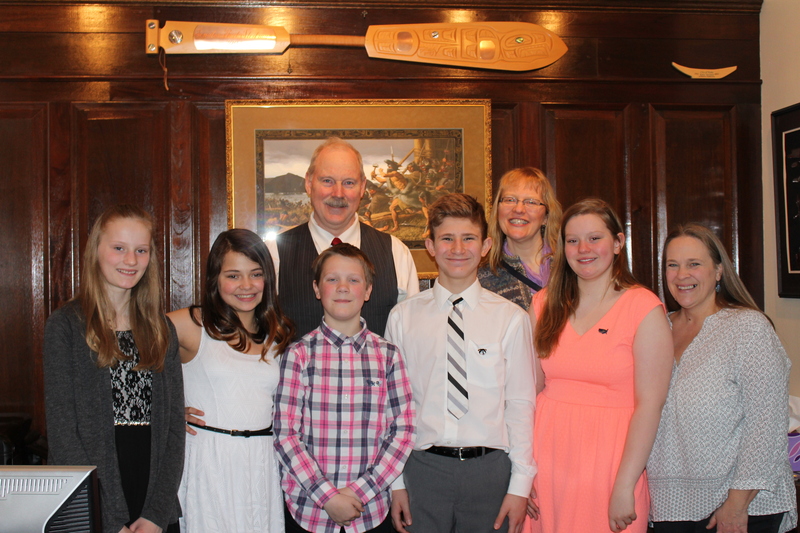 Pictured to the right with the Senator are Judy Meiresonne, Theresa Nordland, Diana Radzilowski, Patrick Garcia, and Sam Jackson as well as chaperones Ann Jackson and Ann Meiresonne.